CMS Simpla is extensively used for creating e-commerce websites. Online stores, promo-sites and virtual storefronts work perfectly in this system. As a rule, the structure of all mentioned website categories includes many different images. The owners of resources rarely consider the necessity to optimize the file sizes. However, loading of pages with large image files can take tens of seconds. In e-commerce, it is important to offer the product to customers as soon as possible. Therefore, image compression in Simpla is a priority task during the website performance optimization. However, manual compression thousands of images is a hard and time consuming task. Image size optimization can be performed by means of the OptiPic plugin. Image compression plugin for Simpla uses its own algorithms. It automatically scans the website structure and finds JPG and PNG files. Next step is image optimizing. The plugin for image compression in Simpla can demonstrate the compression ratio of up to 90%. This means that your website will be displayed on the screen faster after the files are processed. 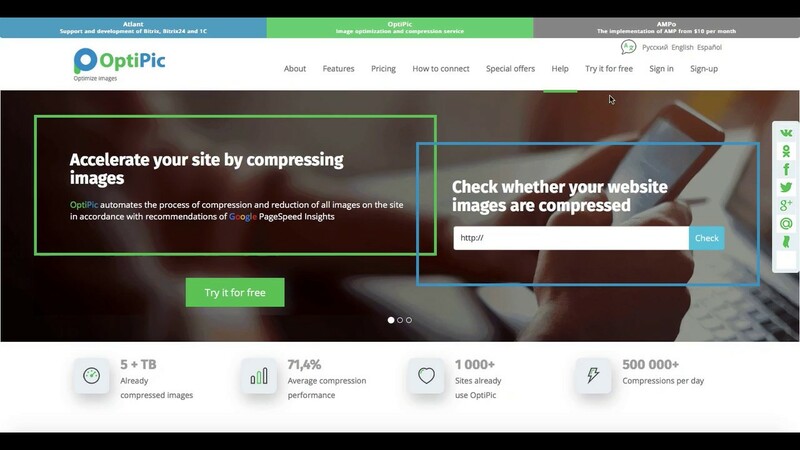 Image compression with OptiPic in CMS Simpla can be performed automatically in just a few clicks. How can optimizing images for Simpla speed up a site?